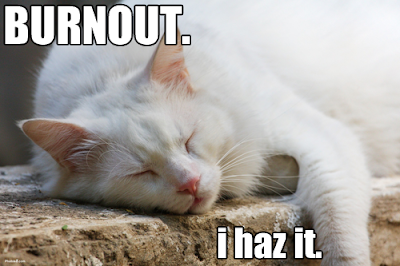 I'm not really burnt out, but I'm seriously ill right now. I can't concentrate enough to write any reviews this week. Even staying awake for more than an hour at a time is difficult due to the huge amount of antibiotics that I'm taking.